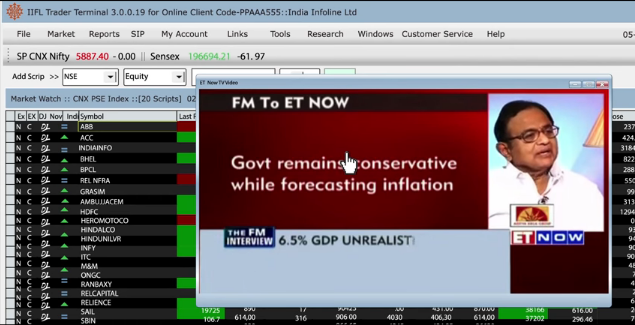 IIFL Trader terminal is the terminal based trading application or software from the house of IIFL or India Infoline. 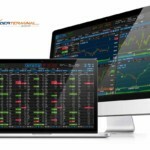 As a user, you’d be required to download and install IIFL Trading terminal onto your desktop or computer for trading. 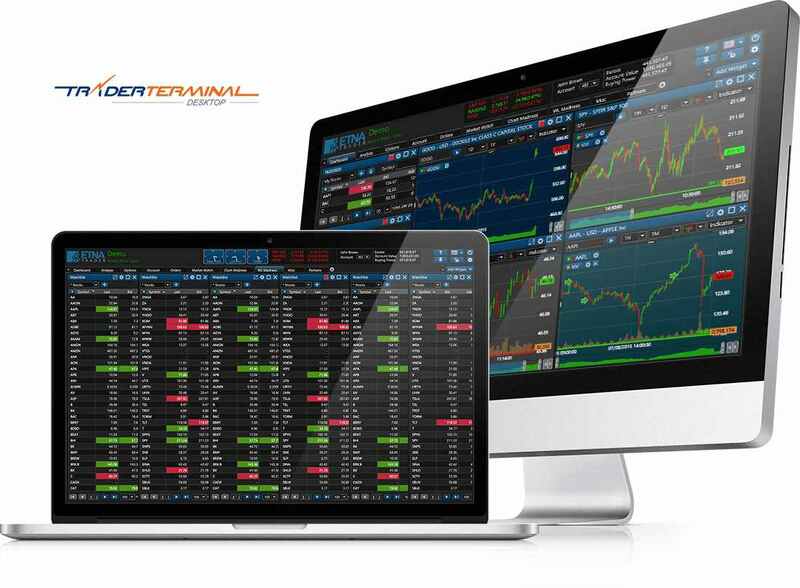 It is optimal for users who are looking for a high-performance trading application, especially for intraday trading. With this trading application, users can trade across Cash/Equity, Derivatives, Mutual funds, IPO, Currency, Commodities listed on exchanges including NSE, BSE, MCX and NCDEX. In this review, we will be talking about the software’s features, configuration requirements, positives and negatives of using the application. This trading application requires you to have Windows (98, 2000, 2003, NT, XP, Vista, 7, 8 and 10) operating system. Users also need Dot Net framework installed on their machines before accessing the software. Pentium/Celeron Processor with RAM – 256Mb. Ideally 512Mb and above. 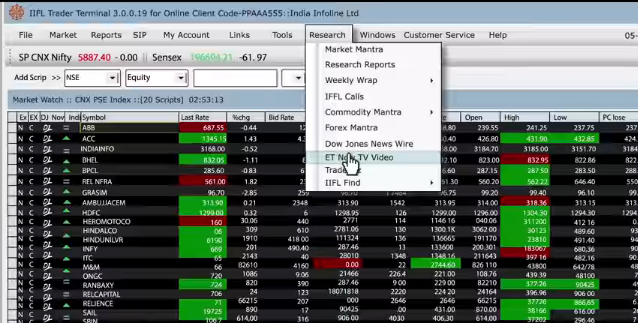 IIFL Trader Terminal is one of the seasoned trading applications in India. It offers a wide range of features at data, analysis, market trends and related levels. Live Market Data, Streaming Quotes. In order to view the Market Depth, the application provides you with the best 5 bid/ask and open interest quotes. You can check Daily Price range (DPR) and Average Traded Price (ATP) before taking the call to go ahead with the trade or not. Single click order placement with short-cut key functionality. Similarly, shortcut keys can be applied to access other features as well. 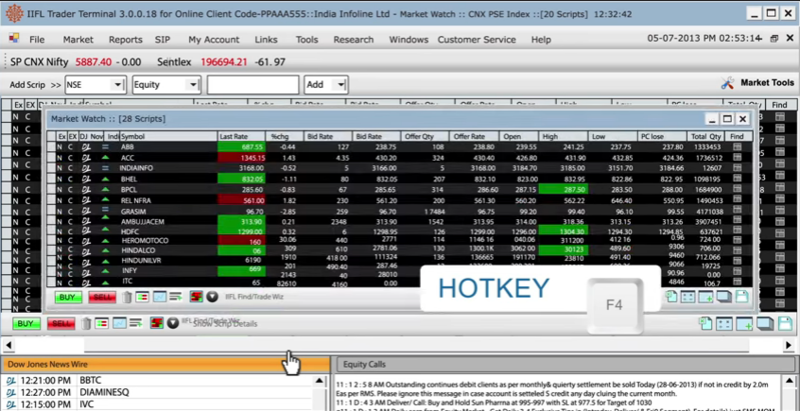 High-speed order execution – performance wise, IIFL Trader terminal is one of the top-notch trading softwares. Market Analyzer feature helps clients to have a quick glance at the current situation of the market with information of low losers, gainers, 52-week high/low and so on. Within the application itself, you can use the options calculator to see the value of the put and call options, implied volatility and related key statistics. 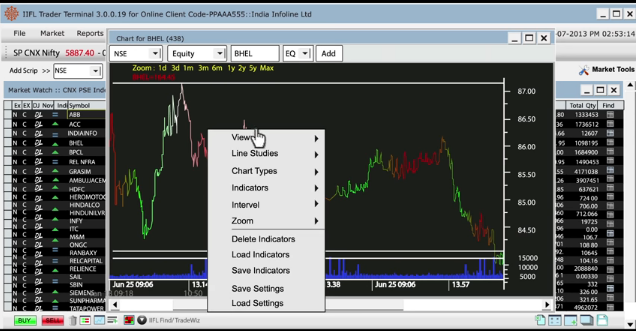 For your technical or fundamental analysis – IIFL trader terminal is loaded with multiple types of chart types such as Candlestick, Line, OHLC. Users can view historical charts with duration variations of 1 month, 3 months, 6 months, 1 year, 2 years, 5 years and so on). Furthermore, there are 14 different technical price and volume indicators available for analysis. 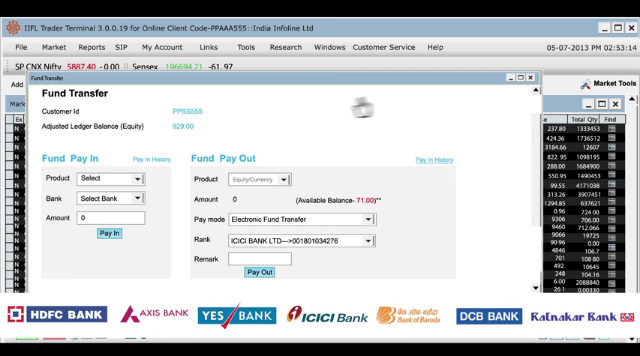 Online funds transfer with banks such as ICICI, HDFC, Citi, UTI, Yes Bank, Axis etc available. The terminal software is not available for iOS users and is only limited to Windows users only. If users want to trade in future and options (F&Os) segment, they are required to submit written an application and income proofs for terminal activation. Users can chat in real time with the customer care of India Infoline to get assistance during market hours. Since IIFL is a full-service stockbroker – users get fundamental reports and technical trading calls within the trading application. There is a daily report called ‘Market Mantra‘ and a weekly report called ‘Weekly Wrap‘ for deep analysis and then there are ‘IIFL Calls‘ for quick intra-day tips. Provision to add AMO (After Market Order) i.e. 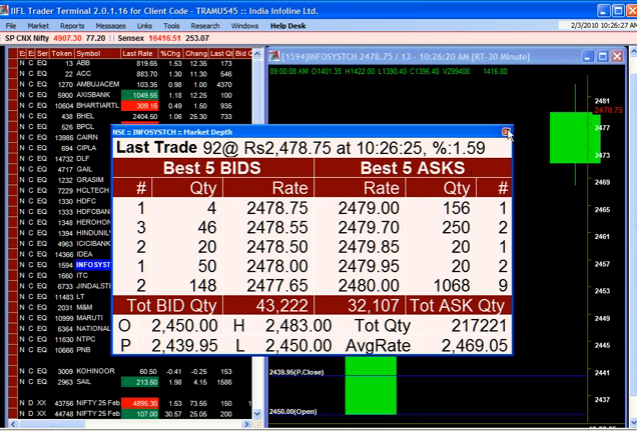 users can place an order after market hours and such orders get processed the next business day of the stock market. You are allowed to set up alerts and notifications based on your preferences where you need to add the scrip name, put up the price condition and corresponding message you are looking to put in. Once the condition is met in the live market, notification is sent to you. Access to LIVE TV with inbuilt integration with ET Now. For additional security, there is a LOCK feature that gets enabled automatically if there is a continuous inactivity for 10 minutes on the terminal. This feature disables trading feature while other features stay available. The application allows you to transfer funds to and from your trading account using multiple options. Then there are few orders related features such as checking order status, single-click based multiple order cancellation, open positions getting squared off, exporting order reports and so on. Looking to Open Account and start trading in the Stock Market? Feel free to provide your details here and we will set up the callback for you!